Retire in a home that has Everything!! This home has a premium lot with Fantastic views! North / South exposure and across from a beautiful park. No back yard neighbors only the views and wildlife entertainment. 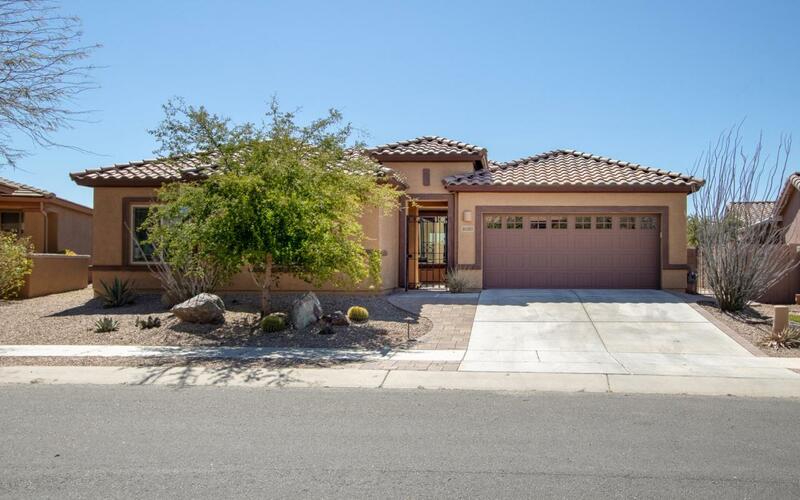 With 3 Bedrooms, Large Office/Den, Great Room with fireplace, Gourmet Kitchen, formal dining room, large covered patio with fireplace, and a lot the size 8523 sq ft (0.19 acre). This is one of the larges lots in the community! There are over $160,000 in upgrades (see attached list) to this home that you will not fine in others. Fully landscaped for low care living. Del Webb is a 55+ age restricted community full of people who love the lifestye of active retirement! The activities are endless with clubs, pools, fitness, and so much more. Be as active as you like!